NTRCA Exam 2008 School Level found here. 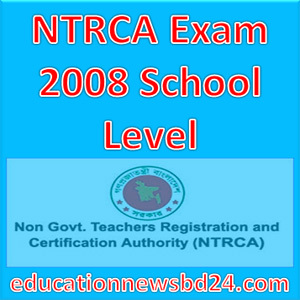 Download NTRCA Previous Year Exam Question all Level from here. Teacher’s Registration Exam total marks 200 both School and College level. Compulsory Subject for Preliminary Test (MCQ) 100 marks while Optional Subject for Written Test 100 Marks.